An annuity is a financial arrangement that provides an investor with a steady stream of income over time. They're often sold by insurance companies as well as by brokerages. There are various kinds of annuities, each with their own rules about how payments and investments work. The difference between qualified and nonqualified annuity refers to treatment under the tax code. A qualified annuity is one where payments into the annuity by the investor are tax-deferred, similar to 401(k) plans or IRAs. A non-qualified annuity doesn't get that special treatment, and money put into it is taxed as normal. An annuity is an arrangement with a financial company to allow an investor to make one or several payments over time and then receive payments from the company, generally in old age, either until the money in the plan is exhausted or until the investor dies. Generally, an investor pays into the annuity during what's called the accumulation phase of the contract and begins receiving payments back during the so-called annuitization phase of the deal. Some annuities provide payments to the investor for life, even if that represents more than the investor paid in, while others only pay out until the principal is exhausted or a particular time has elapsed. Some allow a person known as the beneficiary to inherit what's left of the invested funds when the original owner dies. It's generally possible to get money out of an annuity before it begins paying out funds, though you will often face a stiff penalty for doing so except in the case of a severe hardship. Once an annuity begins to pay out, it is generally impossible to change the arrangement with the company that provides it. There are numerous different types of annuities with complex nuances that can shape what kind of returns you see on your investment and the fees that you pay. If you're considering an annuity, it's important to carefully read the contract and any documentation available and to consider consulting with a lawyer or an independent financial advisor not tied to the annuity company if there's anything you find unclear. With a non-qualified annuity, you can put as much money into your annuity as the contract specifies every year, and you pay taxes on any earnings that you deposit into the annuity as usual. You cannot take a tax deduction for your non-qualified annuity contributions. When you later receive money from the annuity, those payments will represent a mix of investment returns and your initial deposits. You won't pay tax on the portion that represents your deposits, since they've already been taxed, but you will pay tax as ordinary income on investment earnings. Exactly what the investments that the annuity company selects are doesn't matter for tax purposes. Even if the underlying investments earn interest or are bought and sold, you won't owe any tax until you receive payments. As a downside, non-qualified annuity payments to you are taxed at your ordinary income tax rate, which can be higher than the long-term capital gains rate available when you sell real estate or investments like stocks and bonds that you've held onto for a year or more. Federal capital gains tax rates max out at 20 percent, and most taxpayers pay 15 percent (while some pay 0). They are generally less than ordinary income rates for the same taxpayer. Most distributions, or payments, taken from a non-qualified annuity before age 59 1/2 are subject to a penalty tax. This usually amounts to 10 percent of the portion of the distributions that are classified as earnings. There may also be penalties paid to the company issuing the annuity for early withdrawals. For most annuities, a last-in, first-out approach to taxation is applied by the IRS, which means that your most recent earnings are assumed to be your first withdrawals, followed by earlier earnings and principal. This means that your initial payments from the annuity will often be taxed at a higher rate than later ones, which include more principal. A qualified annuity is one that is part of a tax-deferred retirement plan, such as an individual retirement arrangement that you set up for yourself or a 403(b) retirement plan offered by some schools and nonprofits. In that case, the money that you or your employer put into the plan is tax deductible when you contribute it, but all of the money you later receive from the annuity payouts will be taxable, since you haven't yet paid tax on it. This can be valuable in a retirement plan if you expect to make less money in retirement than while working, which is naturally a common scenario, since you are deferring the taxing of your money until a time when you're in a lower federal tax bracket. Since an annuity already contains some tax-deferral capabilities for your earnings, as do IRAs, it's not necessary to use an annuity for tax reasons within an IRA. However, there may be other advantages of an annuity plan, such as the rules around inheritance or guaranteed payouts, that make it a good investment choice. Compare your annuity options to your other investment options, looking at taxes and other factors that could affect your ultimate earnings. There are usually qualified annuity contribution limits based on the type of plan through which the annuity is offered. For instance, for the 2018 tax year, you can normally contribute up to $5,500 to an IRA or $6,500 if you are age 50 or older per year. These figures go up to $6,000 and $7,000 for 2019. Plans offered through your employer may have different tax rules as well as different rules from your employer about how much you and your company each contribute. Talk to your employer or the company that manages your retirement plan to learn more. Roth accounts, which are available for IRAs and workplace 401(k) retirement plans, have their own tax deferral rules different from qualified and nonqualified annuities, as well as from traditional IRAs and 401(k)s.
With a Roth account, money that you contribute to the account is taxed as usual, similar to a nonqualified annuity. Incremental gains aren't taxed from year to year, nor are funds taxed when you make withdrawals after retirement age. Neither principal, which has already been taxed, or gains are subject to tax. If you take money out before the retirement age of 59 1/2, you can face taxes and penalties from the IRS. 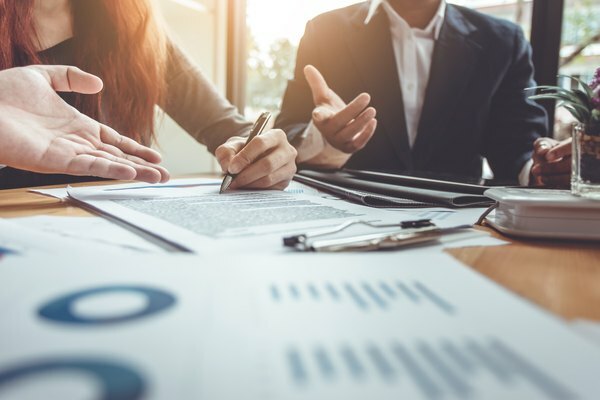 These types of accounts can be valuable if you anticipate high investment returns on your retirement savings in the account or if you anticipate being in a high tax bracket when you retire. For the 2018 tax year, your total contributions to both traditional and Roth IRAs is limited to the $5,500 per year figure, or $6,500 once you are over 50. These change to $6,000 and $7,000 for 2019. Another option besides annuities and retirement accounts to invest your funds for retirement is to simply open a brokerage account and pick your own assortment of stocks, bonds and other investment vehicles. Then, you'll pay tax as normal on the money you put into the account, and when you sell investments for money, you'll pay long-term capital gains tax on your profits if they've made money and you've held on to them for a year or longer. This tax is usually lower than ordinary income tax, and you can offset capital gains with capital losses from other investments that declined in value. Picking the right investment vehicles for your needs can be complex, so choose the right mix of retirement plans, ordinary investment accounts, bank accounts and other options. Can I Take Money Out of My Non-Qualified Plan? Can a Money Market Account Be Qualified? Are IRAs Qualified or Nonqualified Plans?